Our Little Black Book Series features publications written by youth for youth. The Little Black Book for Girlz was created by a group of young women to provide information, advice and resources for young girls on issues relating to health and sexuality. It has been published in five languages across Canada, the USA and size European countries and has won awards from the New York City Library and the American Library Association. The Little Black Book for Girlz is available online at Annick Press, Indigo or as an audio book on iTunes. Similar to the Little Black Book for Girlz, The Little Black Book for Guys was created by a group of young men to offer a resource on health and sexuality issues for young men. The Little Black Book for Guys is available online at Annick Press, Indigo or as an audio book on iTunes. It's Not All Black and White was launched on October 11, 2012. Written by 12 bi-racial/mixed race youth, it provides insight into the complexities of the authors' experiences in relation to their bi-racial/mixed race identities. It's Not All Black and White is available online at Annick Press or Indigo. The companion documentary, Making Sense of One, was produced by MO-D Productions, can be seen here. The password is mso321. 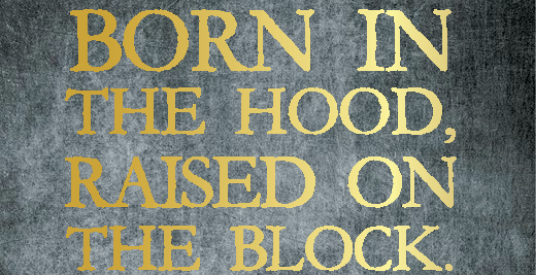 Born in the Hood, Raised on the Block. Stories from the Streets was launched on November 30, 2017. The book gives insight into the lives, experiences and impact of youth growing up in social housing. Young people from across the City of Toronto provided real life stories, interviews, poems and artwork to create a book that depicts the harsh realities faced by many youth living in social housing. Born in the Hood, Raised on the Block. Stories from the Streets is available online at Discovery Publishing.